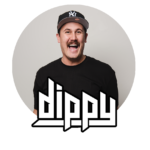 Dippy, the AGWA-loving maniac from Brisbane, is not your average Your Shot alumni. After years of spinning bangers as DipFroat up and down the east coast of Australia and across New Zealand, the evolution of DipFroat to Dippy has seen him take flight in the house and tech music scene. You’ll struggle to find a soul in the scene with a bad word to say about him. NOY, the Brisbane bass native, is quickly ascending the Australian dance music scene and transcending musical boundaries with his trap and bass-predominant beats. 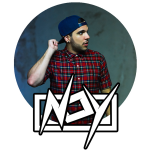 NOY is best known for his versatility and celebration of a BPM overload, billing with such acts as Yellow Claw, RL Grime, Zeds Dead and Major Lazer! Royal & his signature hard-hitting bass sound have captured the attention of the music industry at large. 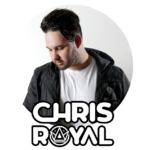 Royal has worked with some of the best the scene has to offer, supporting Australian acts such as Tigerlilly, Timmy Trumpet & Will sparks and international heavy weights like Boombox Cartel…Just to name a few. 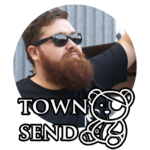 From humble beginnings learning to DJ whilst working at a bar in Alice Springs, Townsend has become a household name throughout the nightclubs of Queensland. Having held residencies at RG’s, GPO, 105.7 Metro, Sunday Sessions and The Met, there is no doubting his expertise behind the decks.